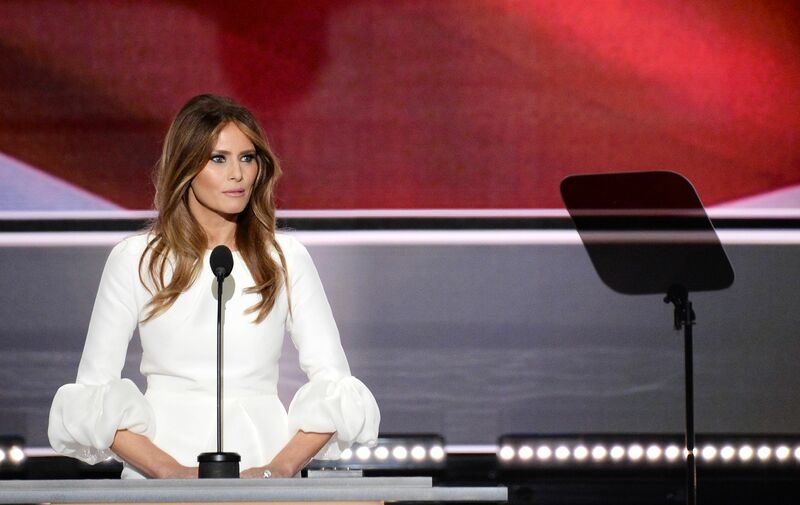 On Wednesday, following a couple days of confusion and questions, the cause of Melania Trump's apparently plagiarized speech at the Republican National Convention has been revealed: Trump Organization in-house writer and longtime Trump loyalist Meredith McIver has accepted responsibility for the incident, and she says she offered her resignation, although it wasn't accepted. So, exactly who is Meredith McIver, and how did this all happen? First things first, if you missed what went down on Monday night, you should get up to speed. It was the convention's first night, and the featured speech went to the candidate's typically private wife, Melania. It was initially quite well received, and generated some truly positive coverage at the end of a long, occasionally tense day, but that didn't last long. Within an hour of the speech's conclusion, sleuths on social media identified striking similarities between portions of Melania's speech and Michelle Obama's speech at the 2008 Democratic National Convention, and in relatively short order the story took off in the mainstream media, too. Obviously, the big question was how and why it happened — basically, who cribbed the lines? And now, after those questions hung all of Tuesday's convention events, McIver has come forward to explain what happened. Here's her description of how it all went down. To hear McIver tell it, she's a years-long member of the Trump Organization who made an honest mistake, inadvertently cribbing lines from Obama's speech that Melania had read her over the phone as examples. McIver also claims she offered her resignation to Donald, but the real estate magnate — who used to quite literally be the "you're fired" guy — turned it down. McIver's statement does raise a couple of compelling questions, or rather, points of interest. First of all, it's notable to hear that Melania herself floated lines from Michelle Obama's 2008 speech, on the grounds that she admired the First Lady. Needless to say, the broader Republican Party does not feel the same way about her — in the pantheon of First Ladies, she's been treated especially badly, and has been the target of countless racist insults and attacks. Basically, if Melania is an admirer, that surely puts her at odds with a lot of her husband's supporters. Furthermore, the very fact that McIver went public and apologized at all is starkly out-of-step with the Trump campaign's general ethos — in almost every circumstance, Team Trump does not apologize, they double-down. And now, after days of Trump supporters and surrogates insisting the plagiarism scandal wasn't even legitimate, and was nothing but a creation of the sinister liberal media and the Clinton campaign, McIver's statement undermines all of those previous protests. It'll be interesting to see whether this fess-up by McIver ultimately clears the air and lets the Trumps — and specifically, Melania — move on from this situation. Notably, Donald Trump Jr.'s speech on Tuesday night also generated some plagiarism allegations, as it shared lines nearly verbatim with an article written by F.H. Buckley for the American Conservative. However, this was subsequently cleared up, as Buckley revealed that he'd been a ghostwriter for Trump Jr.'s speech, and thus had every right to use his own words.